The Smurfs are partnering with the European Union to reduce ocean litter by taking part in the Global Beach Cleanup campaign. Véronique Culliford, daughter of the Smurfs creator Peyo and the CEO of the cartoon’s parent company IMPS, joined Joao Aguiar Machado, director-general for fisheries and maritime affairs for the European Commission, on Wednesday to sign the agreement. "Marine pollution is one of the most pressing environmental problems, in Europe but certainly also in the rest of the world. 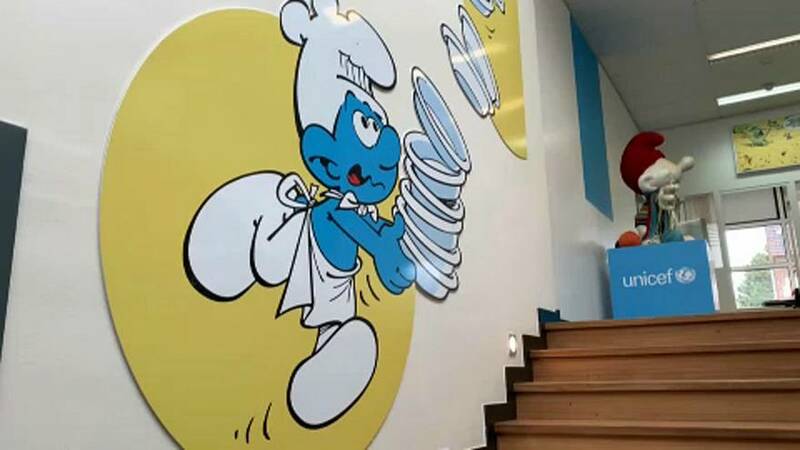 With the Smurfs, we have found a partner that can help us reach out globally while sharing our values and priorities," Machado said at the signing. By teaming up with the iconic little blue cartoon characters, the EU hopes to educate children and engage them early in global efforts to reduce ocean waste. "I think that the Smurfs are the only characters that can use their body, colour and everything to send a message to the world — a message to the children — to say to people ‘pay attention to your planet’," Culliford told Euronews. Since 2018, the Commission and the European External Action Service (EEAS) have been combatting the plastic waste that is increasingly filling our oceans through the cleanup campaign. To incite action, the campaign organises volunteers throughout the EU to get involved through community events and cleanups. In March, Belgian volunteers cleared 11.5 tonnes of waste from the coastline. The Smurf-EU matchup is the next step in spreading awareness about ocean waste and moving towards a more sustainable Europe. Culliford told Euronews that she hopes the Smurfs' passion for cleaner oceans can inspire others, especially for one particular reason: "Everybody can identify themselves in a Smurf."